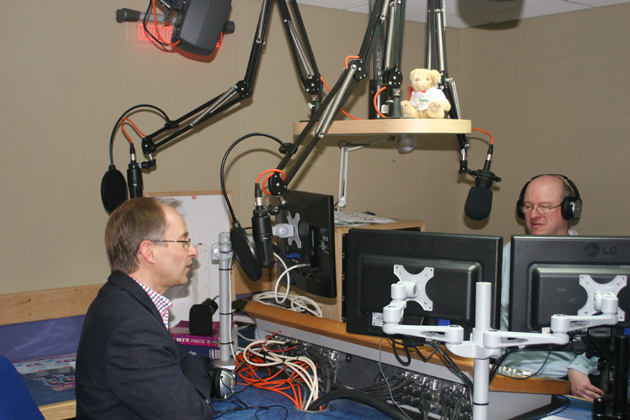 Truro’s hospital and community radio station welcomed a very special guest into its new studio at the Royal Cornwall Hospital this weekend. 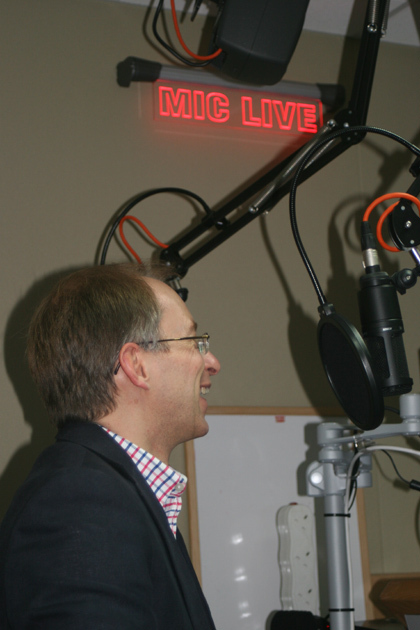 Spotlight front man Justin Leigh is also Honorary President of CHBN Radio, and this was his first chance to see the station’s new second studio which has been in operation since the station launched across the community on 100.8 FM in April 2014. 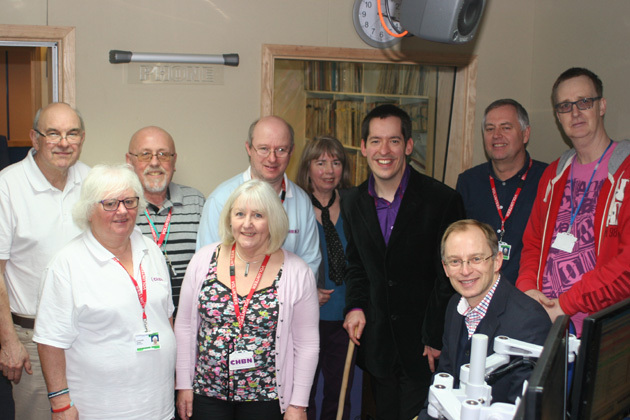 Around 15 of the station’s members were on hand to meet Justin and talk about what they do at CHBN. 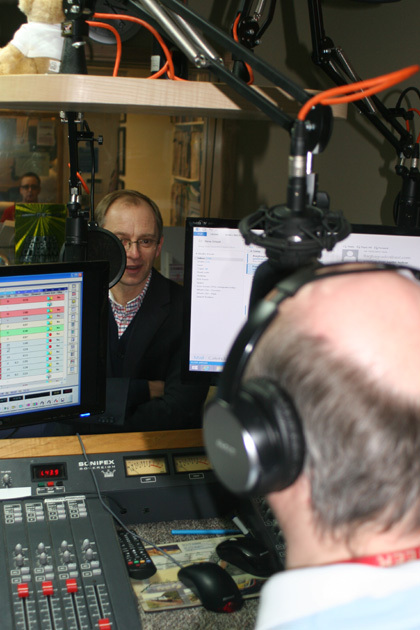 Speaking on air to CHBN presenter Jason Moyle, Justin went on to reminisce about his time as a hospital radio presenter back in the late 80's when the station was known as Truro Hospital Radio and he presented a Saturday evening request show. Justin also spoke about how his time on hospital radio led to him getting a job with Radio Cornwall and then, of course, on Spotlight.